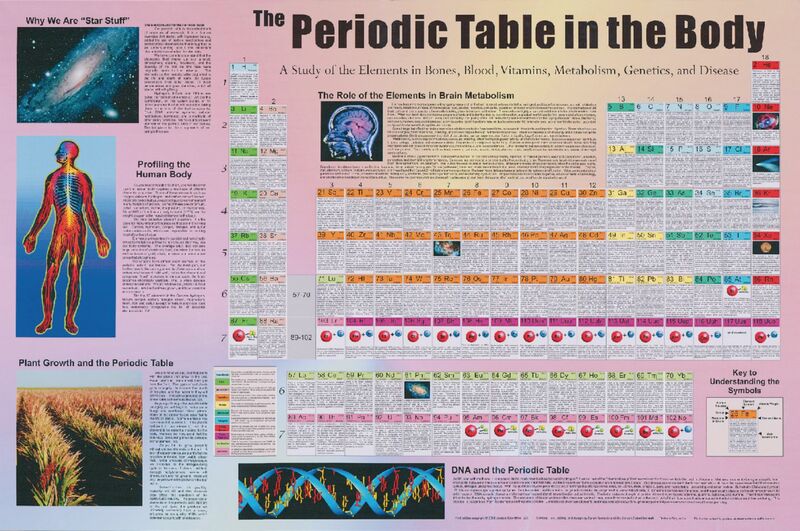 The laminated Periodic Table in the Body poster beautifully illustrates how the human body uses each of the elements in the Periodic Table to survive. One section of the poster examines humans’ chemical ties to the universe. Other sections explore the chemical makeup of the human body, the role of the elements in brain metabolism, plant growth and DNA. Size: 28" x 36".